Teaching - Sheena Erete, Ph.D. I teach a variety of graduate and undergraduate courses related to research methods, human computer interaction, experience design, and human centered design. This course introduces students to research methods used to understand end users and their tasks. 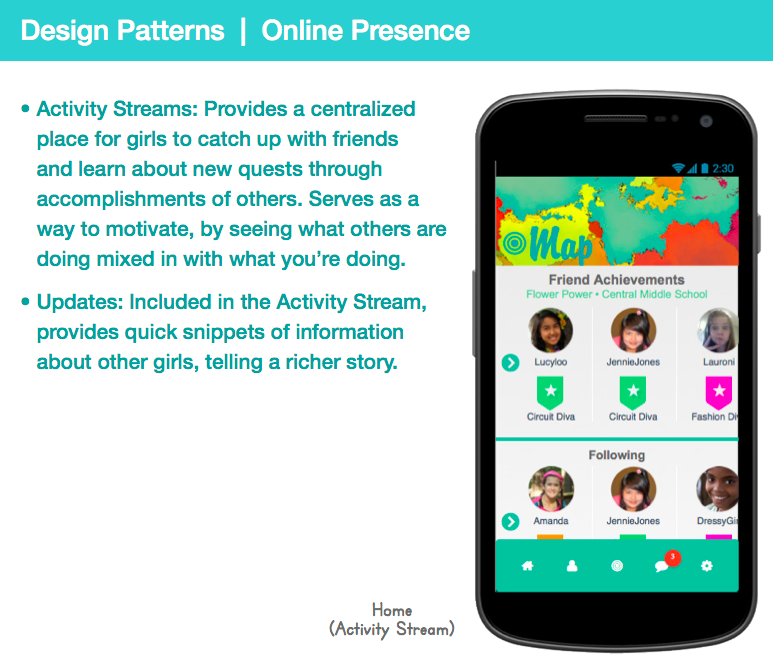 Specifically, students will learn how to select the most appropriate methods to collect and analyze data about users. Methods taught include (but not limited to) observations, interviews, surveys, contextual inquiry, and focus groups. Students will also learn how to effectively communicate and summarize their findings using personas, scenarios, and information visualization techniques. Methods will be applied during course assignments. Lastly, students will learn the role of user research in the design process. This course introduces students to principles, practices, and patterns of designing user experience for social web and mobile applications. Students will use these UX strategies to analyze online interaction patterns on existing websites that facilitate collaboration, content sharing, online communication, networking and other forms of online interaction. In addition to social design patterns, we will also focus on ethics, privacy, social capital, collective efficacy, and designing for those who are traditionally marginalized in the design process. The final project will require students to apply their knowledge of the theories discussed in class and their previous understanding of the human-centered design process to create a social application. In this course, students will build and reflect upon skills, methods, and techniques learned in foundational and advanced HCI courses as evidenced in their course project. The final project includes the design of an actual application or system as well as a ‘live’ user research component, such as contextual inquiry or interviews, as well as other appropriate user-centered design process elements such as conceptual modeling, information architecture analysis and design, prototyping, and various usability evaluation methods. Furthermore, in this course students will engage with HCI reading materials that will help solidify their understanding and application of HCI methods. Course participation includes but is not limited to paper discussions, project exercises, peer reviews, and contributions to general course discussions. This course familiarizes students with the user interface development process, including user and task analysis, interaction design, prototyping and evaluation. Students study human perception, cognition and motor abilities as they relate to the design of interactive systems. 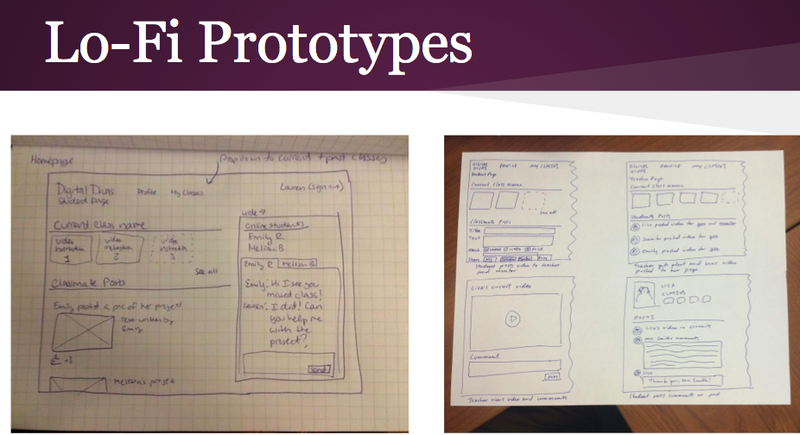 In a series of projects, students design and revise prototypes as they apply a user-centered design process. 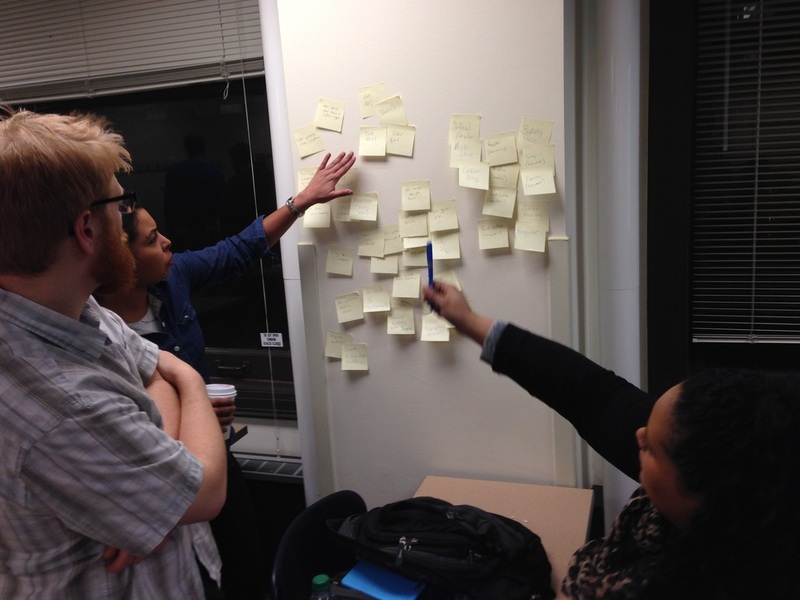 Emphasized topics include user profiles, information architecture and usability testing. Students provide written analysis of their research and process.